In the medieval landscape Magna Carta is rather like Vesuvius. It is a grand object, never quite inactive, always plumed with smoke, sometimes emitting a cascade of miscellaneous debris on to the surrounding countryside, but seldom in full-scale eruption. ~ R.W. Southern, reviewing J.C. Holt, Magna Carta, ante, lxxxii (1967), p. 342. 2015 marks the 800th anniversary of Magna Carta, itself widely regarded as a means by which kings, medieval and post-medieval, were taught to respect the rule of law. 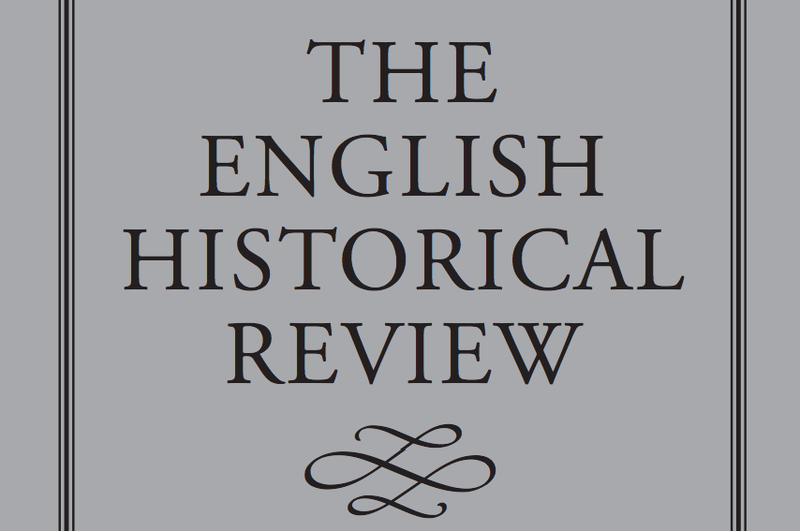 As the most venerable of Anglophone historical periodicals, the English Historical Review has carried many new findings on Magna Carta. In what follows, I attempt a survey of this contribution. What I hope will emerge is the extraordinary breadth of the materials that EHR has broadcast. For ease of reference, I have divided this survey into four periods. Were we seeking a terminology here, I would suggest ‘the era of Stubbs’, ‘the era of Powicke’, ‘the era of Holt’, and ‘the post-Stubbsian age’. The launch of EHR occurred within a decade of the publication of William Stubbs’s Constitutional History of England (1874–8), in many ways Victorian constitutionalism’s high-water mark. According to Stubbs (here writing in a present historic tense that may come as a surprise to those believing such things to be modern barbarisms), Magna Carta was ‘the first great public act of the nation, after it has realised its own identity: the consummation of the work for which unconsciously kings, prelates, and lawyers have been labouring for a century’. As a result, ‘the whole of the constitutional history of England is little more than a commentary on Magna Carta’. Stubbs’s pupils, most notably John Horace Round, found this too large a pill to swallow, even within a decade of its first concoction. As a result, Stubbs’s chief legacy lay not in the ‘Whig’ (in fact, part-‘Tory’) teleology of the Constitutional History but in what Stubbs himself might have considered his lesser works, his editions of chronicles and his Select Charters, intended from the outset as a student crib. So workaday was the Select Charters that, although it was first published in 1870, no copy of it earlier than the fourth edition of 1881 seems to survive in the Bodleian, and no copy earlier than 1884 in the British Library. Yet, it was by this means that Stubbs helped to establish a close connection between the writing of history and the editing of medieval texts, with Magna Carta as the greatest medieval text of all. At Oxford, in part in order to assist with the teaching of Stubbs’s Charters, classes in palaeography were made available from 1889 onwards, followed in the 1890s by classes in diplomatic taught by Reginald Lane Poole, EHRʼs editor from 1895 to 1920. In Cambridge, although there was less formal teaching provision for medievalists, Maitland and others trailed in Magna Carta’s wake, publishing plea rolls, year books and other records of thirteenth-century law.